VolcanicDegassing | Calbuco erupts. April 22, 2015. EGU Blogs » Network » VolcanicDegassing » Calbuco erupts. April 22, 2015. 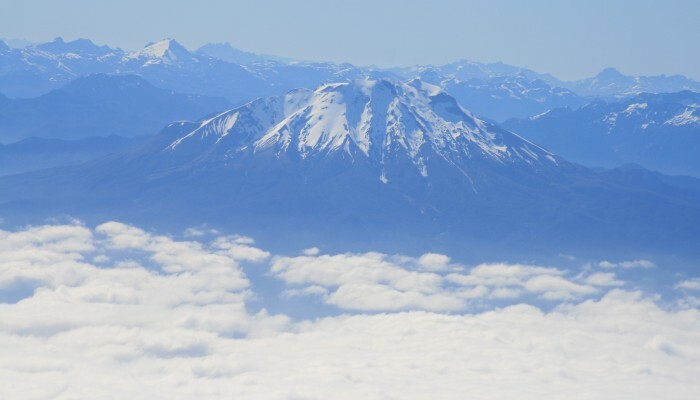 Volcan Calbuco, which burst into eruption on April 22nd, is one of more than 74 active volcanoes in Southern Chile that are known to have erupted during the past 10,000 years. 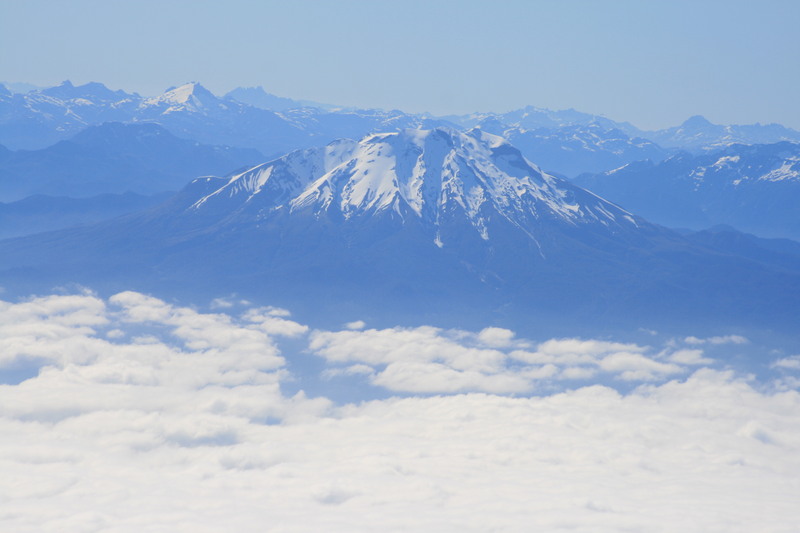 Unlike its photogenic neighbour, Osorno, Calbuco is a rather complex and rugged volcano whose eruptive record has posed quite a challenge for Chilean geologists to piece together. 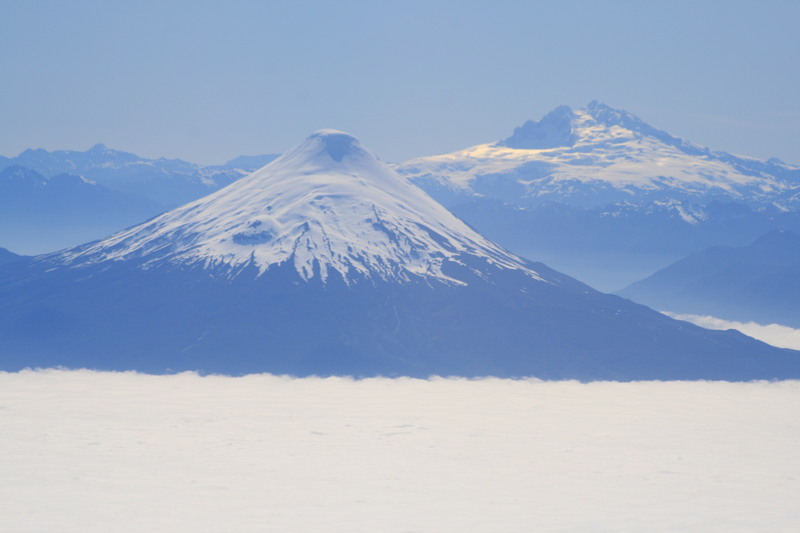 Calbuco’s volcanic neighbours, Osorno and Tronador. The little that we do know about Calbuco’s eruption history comes from two sources: historical observations, and geological/field investigations. The historical record is not well known – other than that it has had repeated eruptions since the late-19th century. The eruption record prior to this is much less well known from written records, although the region has been populated for several millennia. The most spectacular recent eruption was in 1961, that ranked ‘3’ on the Volcanic Explosivity scale (VEI). One interesting feature of Calbuco is that it is the only volcano in the area that regularly erupts magmas of an ‘intermediate’ composition (andesite), that contain a distinctive hydrous mineral, amphibole. This should make the eruptive products – particularly the far-flung volcanic ash component – quite distinctive. Preliminary work has identified the deposits of at least 13 major explosive eruptions from the past 11,000 years along the Reloncavi Fjord; but none of these have yet been found further afield, even though they were the products of strong explosive eruptions (certainly up to VEI 5). Calbuco is one of the many volcanoes in southern Chile that come under the watchful eye of the volcanologists from the Chilean Geological Survey, SERNAGEOMIN, and their Observatory of the Southern Andes (OVDAS); follow @SERNAGEOMIN for updates as the eruption progresses. Moreno, H., 1999. Mapa de Peligros del volcán Calbuco, Región de los Lagos. Servicio Nacional de Geología y Minería. Documentos de Trabajo No.12, escala 1:75.000. Sellés, D et al., 2004, Geochemistry of Nevado de Longaví Volcano (36.2°S): a compositionally atypical arc volcano in the Southern Volcanic Zone of the Andes, Revista Geologica de Chile 31.